Merleau-Ponty's Developmental Ontology shows how the philosophy of Maurice Merleau-Ponty, from its very beginnings, seeks to find sense or meaning within nature, and how this quest calls for and develops into a radically new ontology. David Morris first gives an illuminating analysis of sense, showing how it requires understanding nature as engendering new norms. He then presents innovative studies of Merleau-Ponty's The Structure of Behavior and Phenomenology of Perception, revealing how these early works are oriented by the problem of sense and already lead to difficulties about nature, temporality, and ontology that preoccupy Merleau-Ponty's later work. Morris shows how resolving these difficulties requires seeking sense through its appearance in nature, prior to experience-ultimately leading to radically new concepts of nature, time, and philosophy. 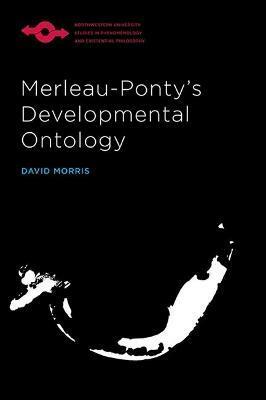 Merleau-Ponty's Developmental Ontology makes key issues in Merleau-Ponty's philosophy clear and accessible to a broad audience while also advancing original philosophical conclusions. David Morris is a professor of philosophy at Concordia University. He is the author of The Sense of Space.